The popularity of Cape Verde as a holiday destination looks set to increase. The Cape Verde islands are a small group of tropical Islands approximately 500km off the West coast of Africa. Cape Verde has an all year round warm climate and very little rainfall. 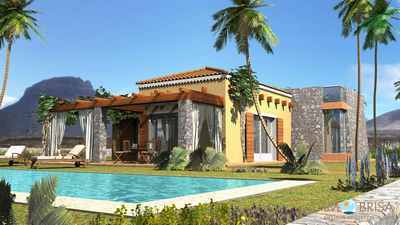 Cape Verde has seen a booming tourist industry and this is attracting more property buyers who are looking to find their dream property in Cape Verde. With its endless kilometres of white sandy beaches, turquoise coloured seas and a pro-tourism Government, Cape Verde has a prosperous future ahead. but the Astraeus flights have brought Cape Verde to within six hours of the UK, leading some to tip it as the new Caribbean. It is, however, a relatively new holiday destination for discerning travellers – but has only previously been accessible by air via southern European or African airports, or by sea. Cape Verde is a former Portuguese colony, gaining independence in 1975. The climate is dry tropical, with average temperatures ranging between 21C and 31C, and water temperatures ranging between 22C and 27C. In recent years, Cape Verde has become focused on brining in hotel and real estate developers to develop its touristic economy. Since 1996, Tourism has increased in Cape Verde and it has accelerated over the last few years with the advent of brand name hotels such as the Riu Hotel (Sal, Boa Vista), Iberostar (BoaVista), Sol Melia hotel (Sal) and Nikki Beach hotel (Sao Vicente). Cape Verde's International Airport, Amílcar Cabral, is located on the island of Sal, with direct flights from numerous major European cities such as Paris, Lisbon, Amsterdam and Las Palmas, travelling to this 'corner of paradise' is becoming increasingly easier and convenient. Direct cross-Atlantic flights are also available from Boston, New York, Houston and Atlanta and the highly anticipated new international airport in Praia, the country's capital on Santiago Island, is expected to vastly increase Cape Verde's potential as a top holiday destination. The three principle international air-carriers flying to and from Cape Verde are TACV (Transportes Aéreos de Cabo Verde), TAP Air Portugal and South African Airways. 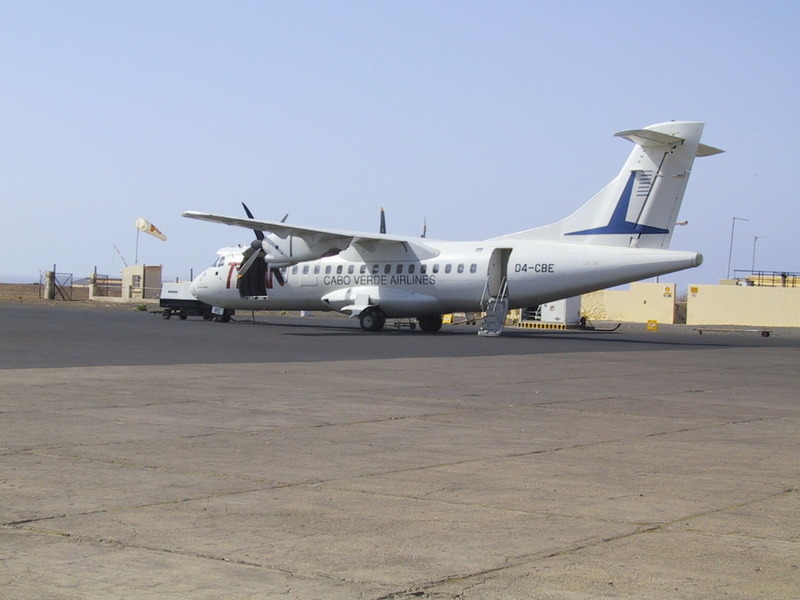 Once in Cape Verde, travelling from one island to another is best done through internal flights. The country's national airline, TACV, offers daily flights to all of the inhabited islands apart from Brava and Santo Antao, which are only accessible by boat. Passengers also travelling internationally with TACV will qualify for an 'internal air-pass' entitling them to reduced fares on pre-booked internal flights. For those travelling in groups between islands, private air charters are available through 'Cape Verde Express' air taxi service. Although usually a more expensive option, the in-transit views are unbeatable. Melia Tortuga Beach Resort is the first luxury resort in Cape Verde and comes with all the lavish comforts expected of a five star resort. Landscaped tropical gardens, designer swimming pools, spa, beauty treatment rooms, sauna, steam room, crèche, gym, beach club, bars, restaurants and a 24 hour consierge service. The hotel is operated by the Sol Melia group, the world’s largest hotel operator. The rental yield is expected to be 10% per annum based on 68% occupancy in the hotel rental scheme. The current occupancy rate is over 50% and more holidays are being booked daily. The apartments are 2 bed, 2 bath and are finished to the highest standard including Italian hand made floor tiles, top branded kitchens and the top quality bathroom fittings. The furniture pack has been chosen in association with the hotel operator who require five star quality furnishings in their resort. Inspection trips are available for a cost of 500 euros per person to see the resor tand remaining apartments. Tortuga Beach Resort & Spa Properties !! Viana Ocean Club Beach Front Villas - WONDERFUL Opportunity !!!! The islands of Mindelo, Sao Vicente, Santo Antao, Santiago, Fogo and Brava are all linked through two well-established cargo-passenger ferry services. These services are frequent and reliable, but most travellers still favour the quicker, hassle-free option of internal flights, leaving the ferries to play a more major role in industry rather than tourism. When travelling by road, there are several different options available. Firstly, for those wishing to truly explore, car hire is readily available on the islands of Santiago, Fogo, Sao Vicente and Sal. But be aware - only one-third or the country's roads are paved, so driving in remote areas can be somewhat of an 'adventure'! Vehicles drive on the right-hand side of the road and an International Driving Licence is required. The second option is to travel by taxi, known as 'Aluguer'. This is probably the most popular way of getting around and these vehicles vary in size and shape - from cars to pick-ups, vans to minibuses. It is common practice to negotiate the price of a journey before setting off. Finally, public buses are a reliable, inexpensive way of getting around. The cleanliness of the buses is of a surprisingly high standard, particularly in larger towns. Cape Verde is a West African archipelago of 10 islands and 8 islets 16 degrees North 24 degrees West in the eastern Atlantic Ocean, south west of the Canary Islands. It is divided into two groups: Northern Windward Isles (“Barlavento”): Boa Vista, Sal, Santo Antao, S. Vicente, Sao Nicolau and Santa Luzia; Southern Leeward Isles (“Sotavento”): Brava, Fogo, Maio,Santiago. CLIMATE The climate as a whole is classed as dry tropical with an average temperature ranging between 21C to 31C with water temperatures between 22C and 27C. There are 2 seasons, a dry season between November and July and a comparatively moderate humid season between August and October. Daily sunshine averages 6 to 7 hours between August and October and 10 to 12 hours for the rest of the year. Wind speed averages 13 knots between November and July, dropping to 9 knots in the summer and annual rainfall averages to around 10 inches, mostly falling over the higher ground. There is a significant contrast in climate between the mountainous regions, which are cooler and wetter, to the warm, dry climate on the coast. Sal and Boa Vista are particularly dry, unlike the Caribbean there are no hurricanes.